Schoonhoven is known for its silver and carries the nickname Zilverstad (Silver City). Since the 17th century, silver and gold-smiths have worked here and today Schoonhoven is the host of the Dutch Silver Museum and the international Silver School. The city is a popular stop for inland cruise ships and bicycle tourers. 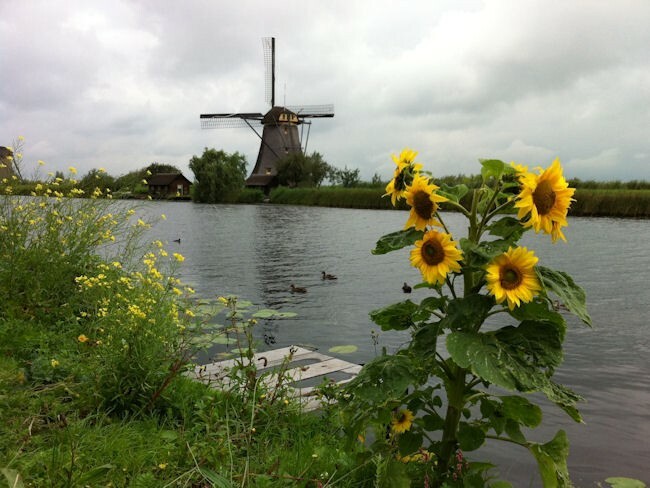 The grassy polders surrounding the city of Schoonhoven are home to the UNESCO monument of the Kinderdijk windmills and Gouda cheese, looping through rural beauty you are also treated to the historic towns of Gouda, Utrecht and Gorinchem. Your Tulip Cycling representative will meet you at the central train station in Gouda for your personal orientation and bike fitting. 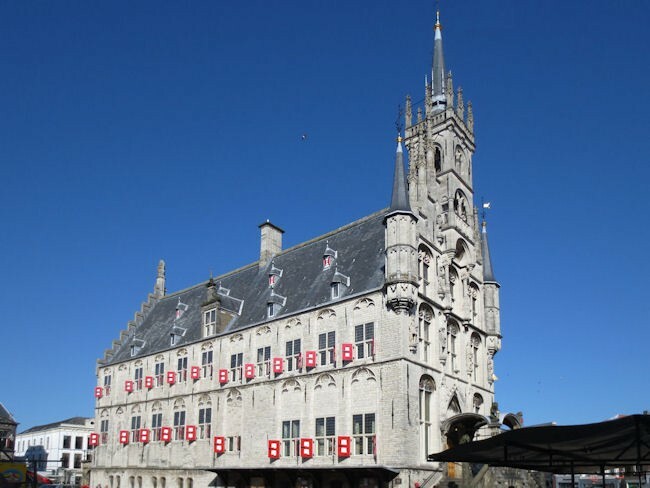 Gouda is world famous for its Gouda cheese, which is still traded in its cheese market held each Thursday morning, and for the fabrication of candles and syrup waffles. Cycle through the historic town with its old City Hall in the Market square and admire the Weigh House and the St. Jans Church before heading out of town. Today’s ride through one of the lowest parts of our country will be an impressive one. 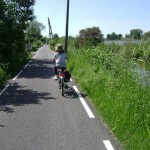 First of all enjoy the quiet bike lanes through the lake district just north of town. Beautiful estates and mansions are built along the waterways. 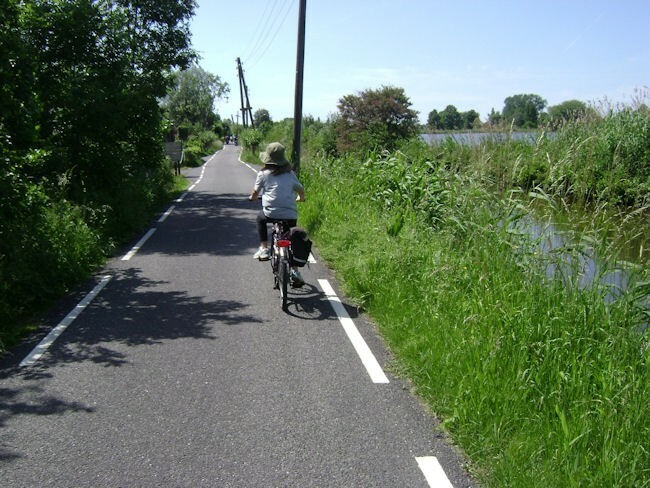 Ride on to the lovely village of Bodegraven through lowlands with well-maintained farms and gardens full of hydrangeas arriving at Haastrecht. Here you will follow one of the most scenic canals in the Netherlands, the Vlist, all the way up to Schoonhoven where the Belvedere hotel with its great terrace overlooking the Rhine river is your home for the next couple of days. After breakfast take the ferry to cross the river Rhine. 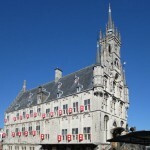 Enjoy the old town of Nieuwpoort, part of which is a protected cityscape. 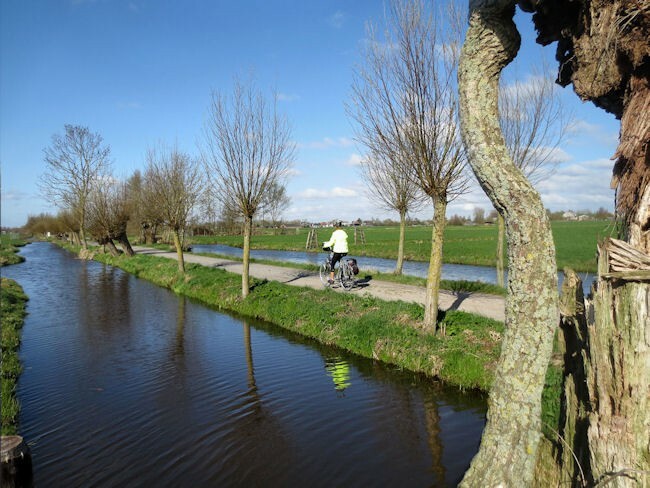 Through lowlands the ride goes to the historic town of Gorinchem, where you can admire the historic centre before finding a perfect spot for lunch on one of its many terraces. A longer ride is available if you wish to visit the medieval Loevestein castle, taking the ferry from Gorinchem to Woudrichem, a historic fortified town that is worth a visit. From Woudrichem catch a ferry to the Loevestein water castle (open from May until end of September just not on Mondays) built at the junction of the Maas and Waal rivers. Today it is a fascinating medieval museum. 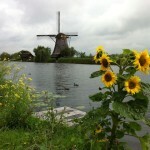 The windmills of Kinderdijk are one of the best-known Dutch tourist sites. They have been a UNESCO World Heritage Site since 1997. The 19 windmills were built around 1740 to drain the polder and are the largest concentration of old windmills in the Netherlands. Step inside a mill at Kinderdijk, where you will see, hear, feel and smell how the creaking wheels and squeaking shafts are set in motion by the wind! The other main interest in this area is of course the famous Gouda cheese. We would like to welcome you to one of the farms! Taste one of the cheeses, farm ice cream and several other rural products. While visiting, you can catch a glimpse of cheese making facilities and you can see firsthand how cheese is made. The final day adds yet another great memory to your bike tour. The ‘Heksenwaag’ (Witches Scales) is a famous highlight in the old centre of Oudewater. In the 16th century people accused of witchcraft all over Europe were allowed to prove their innocence in Oudewater and avoid being burned at the stake. After the weighing in they received an official certificate proclaiming that they were not witches! Even today you can get this certificate. 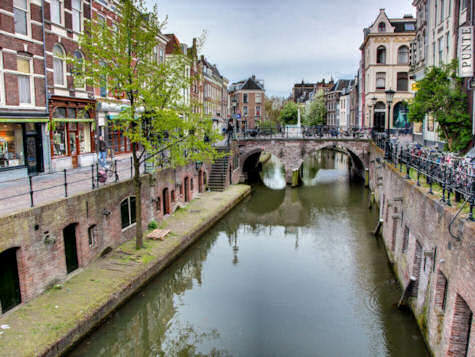 The final destination of your ride today is the town of Utrecht which features many buildings and -structures dating back to the Middle Ages. It has been the main religious centre of the Netherlands since the 8th century and until the Dutch Golden Age, was the most important city in Holland. 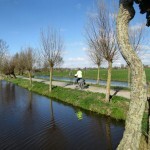 In Utrecht your tour will stop and you will meet a Tulip Cycling representative once again. 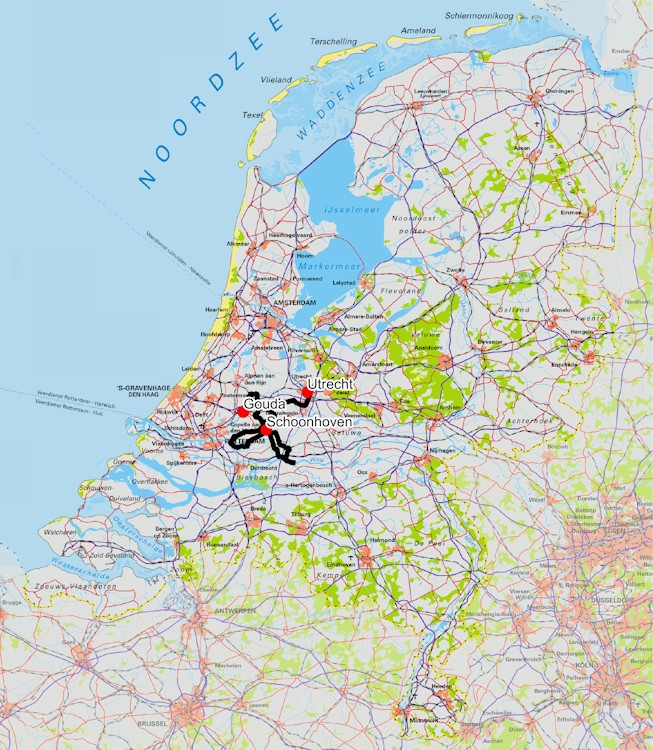 The train station of Utrecht has perfect connections to all parts of the country or to the airport.